Well HELLO there. It has been 3 months since my last blog post and about 5 months since I was posting on a regular basis. What can I say, life has been full and my computer has remained closed. I’ve been reading, playing, running, connecting, studying, teaching, parenting, prepping, traveling, resting, cooking new recipes, and trying to just live in the moment. I wouldn’t trade the last few months for anything. No More Holding Back from Ginger Ciminello on Vimeo. Whether blueberries, loaves or fish, I long to be a woman who opens the doors to her home, sets out the very best, and stops apologizing for the state of my kitchen. I want to unclench my hands and give it all to the One who makes miracles over lunch. 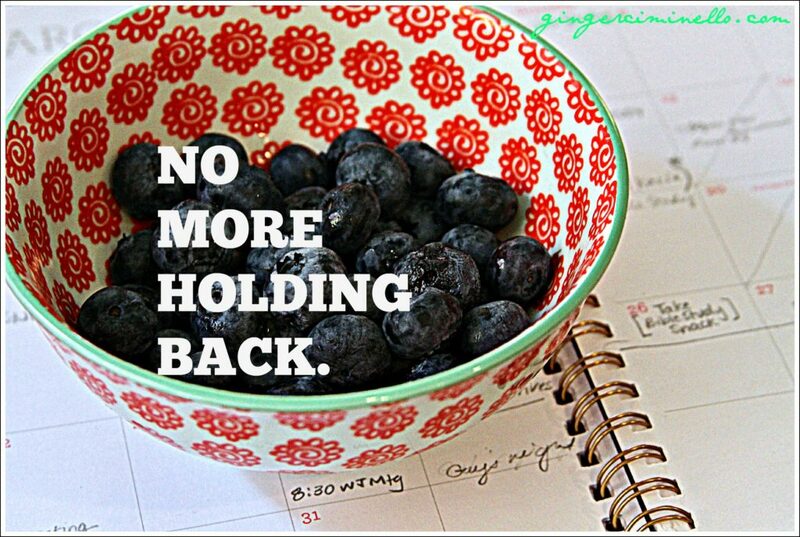 No more holding back. More to come – recipes, a With Joy Retreat update, some new favorite things, top reads this year, and even a foray into podcasting. WHAT.